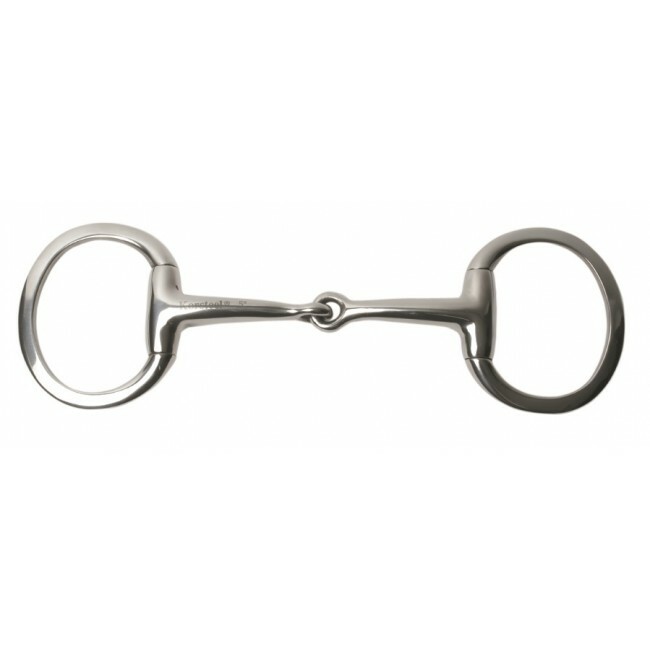 The Featherweight Thin Mouth Jonited Flat Ring Eggbutt Snaffle is thinner and lighter than ordinary eggbutt snaffles. This makes the bit less obtrustive in the horse's mouth, and allows more room for the tongue than a traditionaln hollow mouth snaffle. The single joint of this bit creates pressure on the tongue, the roof and the bars of the mouth. 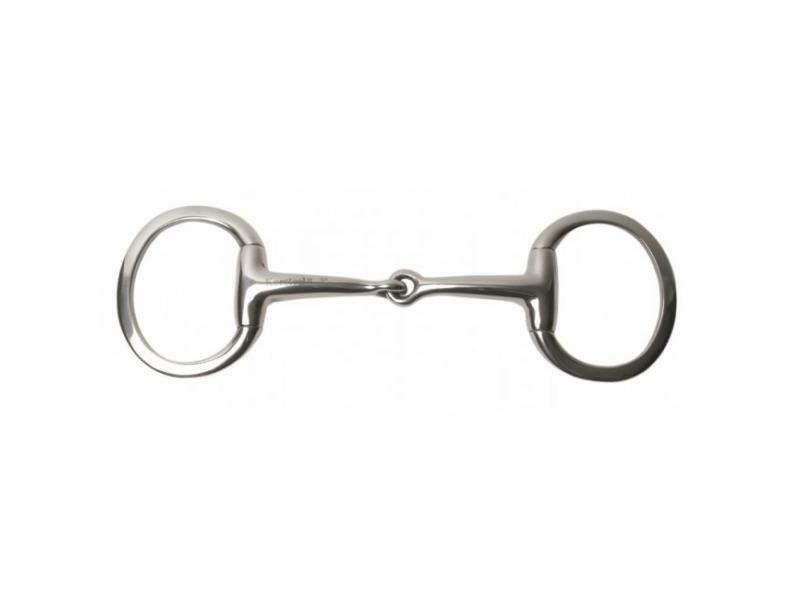 The eggbutt cheeks keep the bit stiller in the horse's mouth than a loose ring snaffle, so this bit is more suited to horses who struggle to maintain a consistant contact, such as young horses or those with sensitive mouths. There are currently no questions for Korsteel Featherweight Thin Mouth Jointed Flat Ring Eggbutt Snaffle - be the first to ask one!